Weddings by Christina Diane: Grandparents: Happy Anniversary! I just really need to share this awesome photo I found. (see I told you I promised more posts)! Meet my grandparents, wait, my AMAZING grandparents: Gary and Margery who have been married for 51 years! (they're 52nd anniversary is just a couple weeks away). 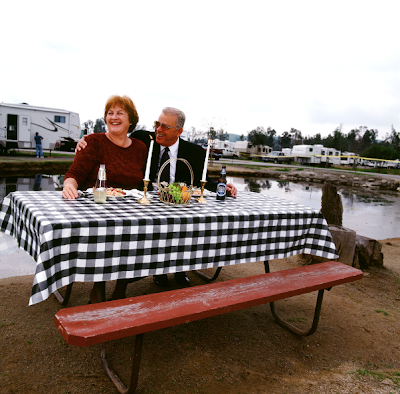 I took this photo of my grandparents because this is what they do— they travel in their fancy RV across the country, to Mexico and Canada and back. They do it because they love it and traveling makes them happy. I just wanted to give you a little piece of my family heaven. I'm proud of these lovebirds and all the accomplishments they make everyday; proud of all the sacrifices that they've made in their seventy years of living. I love you! Happy Anniversary!